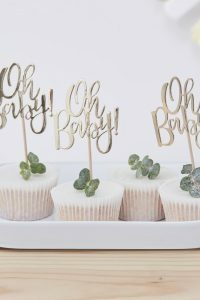 10 “Hello World” – Cloud Cupcake Toppers – Rose Gold. Each is 6cm (W) x 11cm (H). 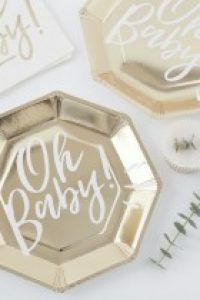 These cupcake toppers will add a whimsical touch to your baby shower! 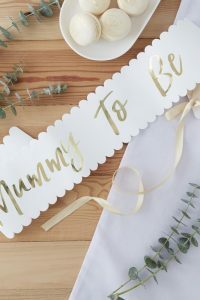 Each pack contains ten heavenly cup cake toppers that say “Hello World!” With stylish rose gold font, they will be a hit. 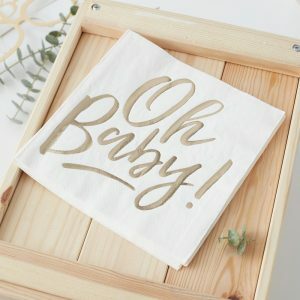 Rose gold is in! And, cupcakes never go out of style. 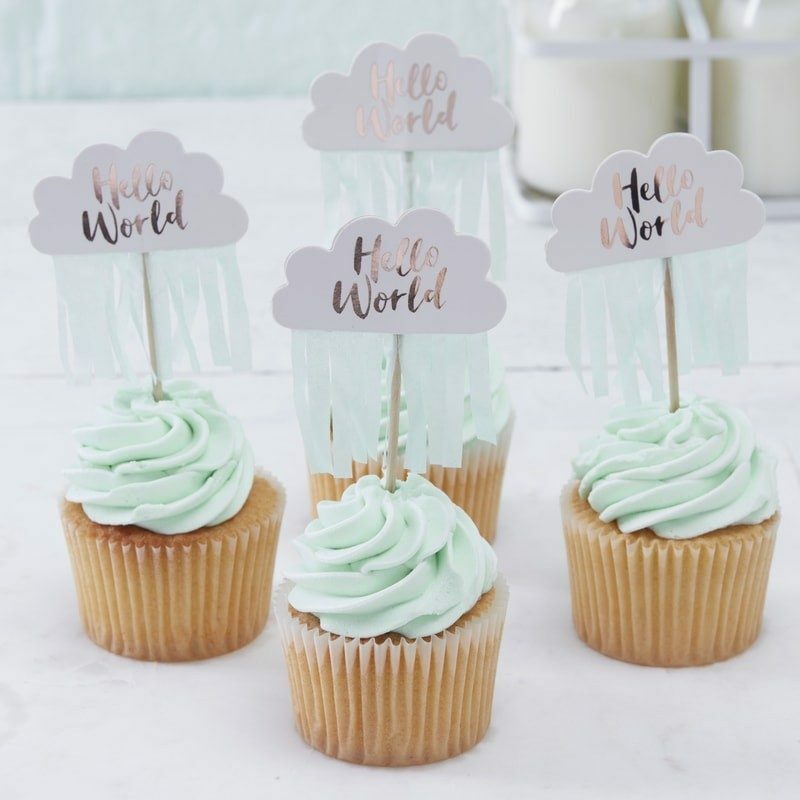 Make some scrumptious cup cakes for your upcoming baby shower and top them off with these delightful clouds.